Some payment systems will have their own limited script generator. 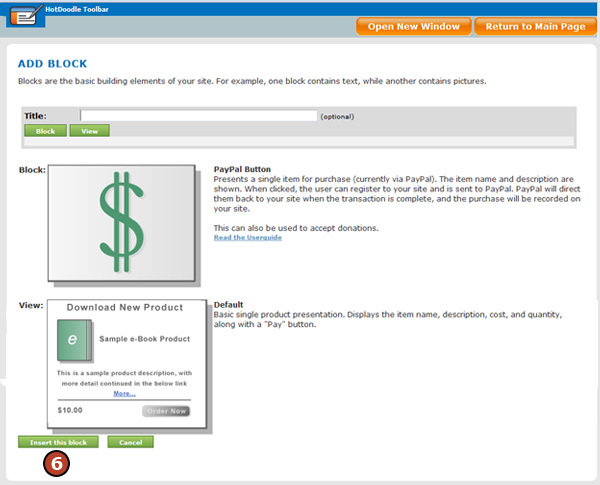 The PayPal Button Generator is an example. This page discusses how to use the PayMent Button block to present those scripts. 3. 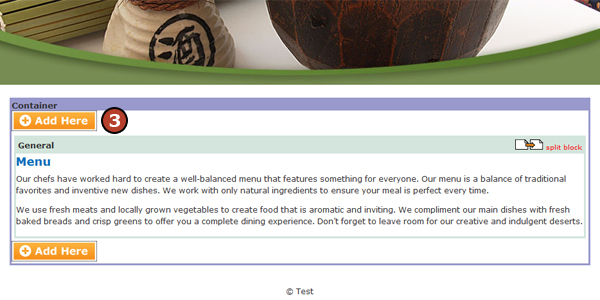 On the webpage, click on the "Add Here" button where the Payment Button will display. 4. Click on the "Payment Button" block. 5. 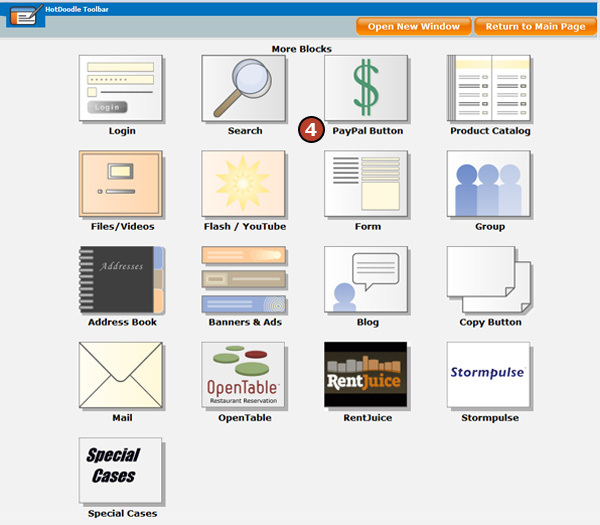 Click on the block view type. Choose "Generated"